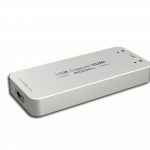 Pair the new Magewell Pro Capture HDMI 4-port capture card with vMix HD streaming software and you have the basis for an outstanding sports streaming package or studio package. 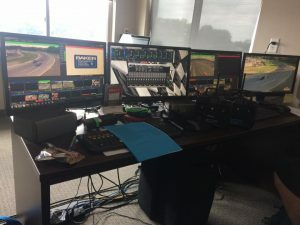 Mix multi HD source inputs, add photos, recorded videos, remote desktops, add CG titles, build virtual sets, output the program to a local recorded file, or as a live stream to the web. vMix is a live production, streaming and mixing cost effective program for your PC. vMix is a downloadable product. The product license information will be sent to you after purchasing this bundle that includes the capture card and the software. The card will be shipped to you by UPS. One video source can be output as multiple streams to different software. The resolution, frame rate, deinterlacing mode, color adjustment, etc of each stream can be different. For example, users can live broadcast, record and preview a skiing contest simultaneously using Windows Media Encoder and Flash Media Live Encoder. The hardware of Pro Capture Cards and the video engine support 4:4:4 10 bit RGB and YUV. The cards have rich video processing functions, such as up/down scaling, cropping, hue / brightness / contrast / saturation adjustment, deinterlacing, color space conversion, etc. Video Processing is done by hardware to achieve ZERO CPU usage. The accuracy of the timestamp is as high as 100 ns. Users can use this function to synchronise captured video and audio. They can synchronize multiple capture channels of audio and video on different systems with the help of network. The cards can analyze the time information (hour, minute, second and frame) in HDMI signal output by Sony / Canon DSLR. The time code format the card can get is SMPTE. 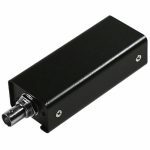 This function can be used to synchronize different input signals. Software such as Flash Media Live Encoder and Windows Media Encoder do not have the function of OSD. With Pro Capture Family, users can save the investment in software but also overlap their logo on the video. If Magewell SDK is used, dynanmic video can also be overlaped on the captured video. Any form of OSD is done by hardware, causing 0 CPU usage. The real frame rate Magewell Pro Capture single channel cards can reach while capturing Full HD video is as below. 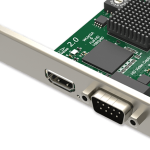 Pro Capture cards supports NVIDIA GPUDirect and AMD DirectGMA technology. Captured data will be transfered directly from the video engine to the graphics memory. This process is completely done by FPGA, and CPU is not involved. 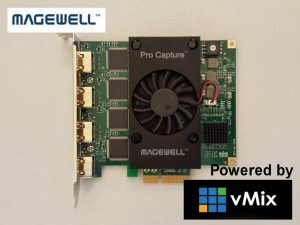 Multiple Magewell cards can be mounted in the same computer and work simultaneously. Users can set the number on the rotary switch on each card. The number will appear as part of the name of the cards in device manager and video capture software. This function is especially useful when multiple same cards are mounted and the user wants to locate a certain card quickly. A universal driver and a firmware upgrading software are provided for all the cards in Pro Capture Family so users do not need to look for the driver/firmware for a certain card. Driver installation and firmware upgrading are automatic.